The Regency Apartments in May 2016. This 1944 project was another one of James Beach’s and was, at $65,000, 1944’s third largest permit. Image: Google Maps. Moving on back, the list of “important” building permits issued in 1944 was a short one, with just 22 in total and a minimum value of $12,000. Carleton Realty’s 30-unit Carleton Manor at Besserer and Chapel was constructed in 1944 for $135,000. Image: Google Maps. 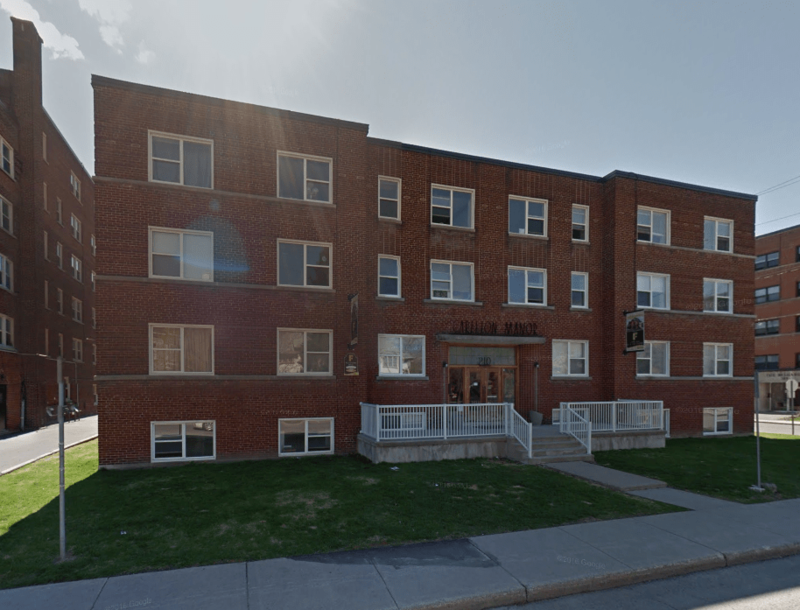 At $135,000, the largest building permit issued in 1944 was for Carleton Realty’s (read: F. Shouldice and Ken Greene’s) $135,000 apartment building at Besserer and Chapel streets.1It was originally reported to be on Rideau Street. See: “$135,000 Apartment For Rideau Street,” Ottawa Journal, April 18, 1944, p. 1; also see “Building Permits Issued in May Total $613,766,” Ottawa Journal, June 8, 1944, p. 20. 1. 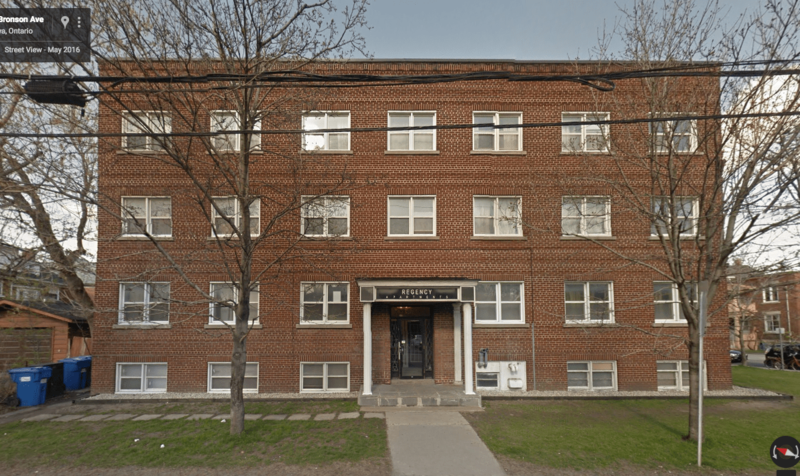 ↥ It was originally reported to be on Rideau Street. See: “$135,000 Apartment For Rideau Street,” Ottawa Journal, April 18, 1944, p. 1; also see “Building Permits Issued in May Total $613,766,” Ottawa Journal, June 8, 1944, p. 20.